As new employment models like ‘gig’ and ‘flexi’ flourish, it is upto organizations to take the lead to accommodate them while delivering strong business results. Fortunately, L&D and talent leaders have an array of modern learn-tech options to facilitate this process. The traditional job market has given way to a more dynamic, employee-friendly approach. Over the last decade, the number of people opting for more flexible, freelance jobs is on the rise. The gig or the flexible economy is a robust way of conducting business in a borderless and technology-driven market. While globally the phenomenon picked up a while ago, India has warmed up to it in only the recent past. India is said to have around 1.5 crore freelancers and contributes to 40% of the global freelancing business. India is expected to be one of the leading gig economies, as per reports, in a global market that will be valued at $335 Bn by 2025. According to a study by Manipal Global Education, with 15 million independent workers, India is second only to the US (60 million) when it comes to number of freelancers. Globally, of course, gig is already huge. As per a McKinsey report, 20-30 percent of the developed countries’ workforce is today engaged in independent work. So far, gig has proved to be a win-win situation for both companies and freelancers around the world because the former get the talent they are looking for and the latter get to work as per their convenience. But the real challenge is for companies to handle the learning and training for such a workforce that is not “physically” present within the work premises. These gig workers have to be motivated, engaged and trained in the necessary skills, but they cannot partake of the regular training programmes in the office. It is, then, upto the L&D folks to put in more efforts to develop special training strategies that support their in-house workforce as well as flexi workers if they want to retain the best workers. L&D has to design specific strategies when it comes to determining a learning plan for gig workers. This is where today’s avant-garde, modern learn-tech comes to the rescue. Tech-enabled learning offers some of the best features when it comes to learning opportunities for a workforce that may be spread across the globe, works at different hours and has different learning needs. Here are the various levels on which modern learn-tech can deliver to provide the best of learning solutions to cater to a blended (gig plus permanent) workforce. A lot that happens in a workplace is a collaborative effort. Ideas are shared and concepts are discussed among teams through several platforms like brainstorming in the conference room or even humble water cooler moments. This is what flexi workers miss out on. They cannot be a part of discussions or cannot even bounce ideas off co-workers by virtue of working remotely. Organizations need to utilize learn tech to create platforms that enable Social Learning and Knowledge Collaboration for the exchange of ideas. Social Learning is what facilitates an informal setting for learning where learners can network, collaborate and share knowledge going beyond workplace, designations, roles and structured training. An LMS proves to be a good bet in this respect because it provides unique ways for people to learn from one another via tools like discussion forums, chat, communities, etc. Communication, in general, is a critical element in any company. It assumes greater importance in a company which works with a flexible workforce. The idea of managing communication with a workforce that is never going to be present in the organization may seem daunting at first, but technology has made communication and collaboration across space and time virtually effortless. The BYOD (Bring Your Own Device) policy is already big in most organizations especially when it comes to attracting and retaining millennials. When clubbed with the Cloud, a BYOD policy gives the ability to work from home, office or even a coffee shop. Companies are also increasingly finding ways to connect with employees through different media and video is a preferred way especially for the flexi workforce to feel connected. IoT has already made it possible to send and receive data located all around the office space. With the help of tools like Slack, employees can communicate with each other in open channels that are organized by team, topic or project. Of course, the other quintessential technological tools for open communication like Sharepoint and Intranet Sites, Instant Messaging, Emails are there too. With technology evolving and mobile devices penetrating all strata of the workforce, multi-device flexibility is no longer a good-to-have, but a must-have. This has given rise to the need for on-demand training, which, due to its very nature, is best suited for a gig workforce. Employees can now have information at their fingertips and find solutions when they need within minutes. They can take control of their own learning and do not have to depend on L&D structures that may take too long to respond. On-demand Training helps them perform better by focusing on context and productivity and allows them to receive training anytime, anywhere at a time and place that suits them and on a device of their choice. It also significantly increases learner engagement. Think about a Learning Management System with Responsive Learner side or mobile apps with support for Internet and offline i.e. no Internet learning. Recognition is an important aspect in personal as well as professional life to ensure good results. In the L&D domain, the innovative idea of LMS Gamification fits this bill because it works wonders for employee motivation, engagement, and retention. Gamification makes the most of the behavioral aspects of people who are driven by achievement, competition, influence, engagement, and collaboration to attain results. While there are multiple ways of leveraging Gamification, many companies choose to make learning fun by applying gaming concepts to work. This can be done by investing in an LMS with game-mechanics or a Gamification module. The process of gamification starts with identifying “what” the employees/ learners want, focuses on the motivational factors that drive their performance while ensuring alignment with the company’s core values, L&D objectives, and at the same time instilling a recognition culture within the organization. The LMS Leaderboard can be used to compare points, designate different levels based on the trainings or tasks completed, allowing employees to view their own progress and be recognized by others for their efforts. Providing the right digital tools with new-age training features is a great way to encourage learners to seek and learn (and in turn engage and retain them). An LMS with features for managing Continuing Professional Development (CPD) helps ensure that employees develop enough competence over their work, achieve knowledge for career progression and enhance their vocational understanding. Other modern tech factors like Artificial Intelligence (AI) that is known to focus on individualized learning and create course content to suit individual learner needs can also be incorporated in training programmes. Adaptive Learning is another aspect to augment personalized learning. It has a learner-centric approach that uses technology to provide learners with customized training programs and is a good addition to the training strategy. 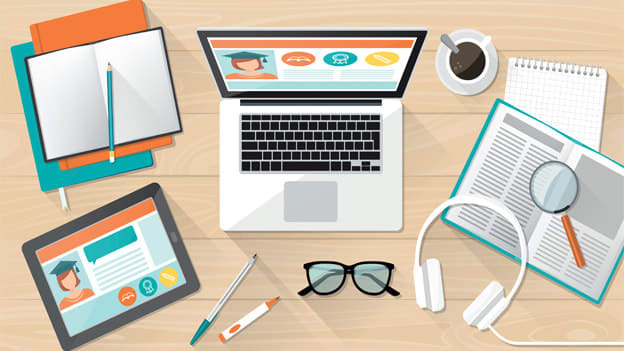 The aspects of Responsive LMS and mobile learning are also strong tools considering the WWW of learners (Whomever they need to learn from, whenever they want, and wherever it is convenient). For a company to support a flexi workforce, it is essential to adopt a strong learning culture within the entire organization. Just as policies go from top down, the learning culture too needs to follow the same approach. Right from the topmost wrung of the management to the bottom level, the learning culture should be all-encompassing. An organization that wants employees to grow, can’t just have training programmes, rather it needs a culture of learning. Creating such a culture is a group effort which starts from the top down. The actions of the top leaders shape how everyone else in the organization will function, and can make or break a learning programme. Building a learning culture from the top down means employees will also themselves start to seek and share knowledge. Employment models like gig or remote working are a great way for organizations to work with the best of talent. However, it is also an added responsibility to ensure that their learning requirements are fulfilled. L&D professionals can easily rely on today’s modern, learn-tech options to facilitate this process. Know more about such trends at the People Matters Learning & Development Annual Conference 2018 on 23rd October. Register here.